Another friendly reminder that we’re in the midst of our Summer Reading contest. Win a cool prize just for commenting on a book you’ve read since June 6. Fill out a form, or comment on our Summer Reading page or the Goodreads group page. This year’s Summer Reading theme is Novel Destinations, so we’ve been visiting each of the continents. 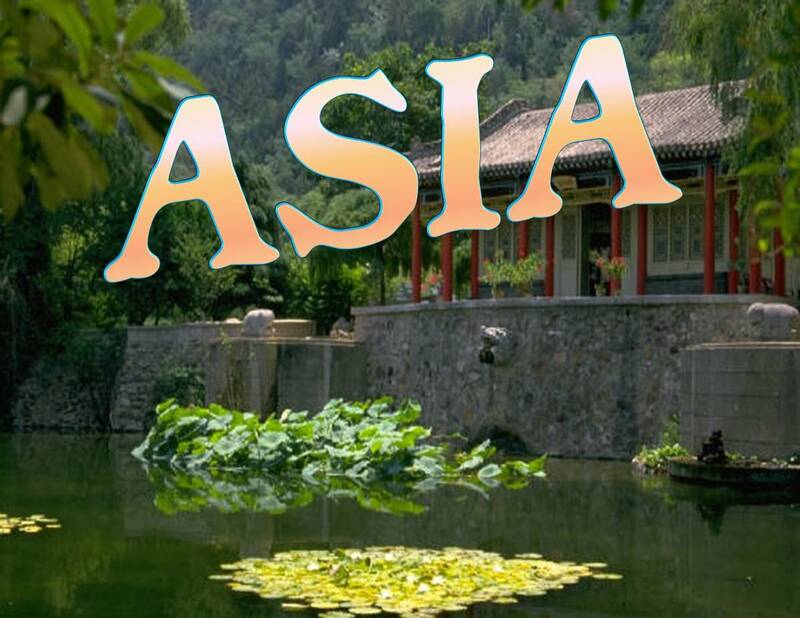 Our next stop: Asia! 1. Just so you don’t have to leave the comfort of your recliner (or hammock, or lawn chair, or whatever…), we’ve created a list of good Armchair Traveler reads for Asia. City of Thieves by David Benioff – Trail along with Lev and Kolya as they attempt to find a dozen eggs for a Soviet colonel during the Siege of Leningrad. Burma Chronicles by Guy Delisle – A graphic novel detailing the author’s experience as a “househusband” while living in the police state of Burma. The Marriage Bureau for Rich People by Farahad Zama – Mr. Ali opens a marriage bureau after retirement, to help clients find love and happiness. A Thousand Splendid Suns by Khaled Hosseini – Two women endure life with their brutal husband under Taliban rule, while developing a long-lasting friendship. The Piano Tuner by Daniel Mason – A young man ventures into the Burmese jungle to tune a piano, and its beauty, danger, and people enchant him in ways he couldn’t have imagined. Pearl of China by Anchee Min – The fictional story of Pearl S. Buck and her childhood best friend, Willow. The Thousand Autumns of Jacob De Zoet by David Mitchell – It’s 1799, and Jacob plans to earn his fortune in Nagasaki, but finds life in feudal Japan political and dangerous. The Housekeeper and the Professor by Yoko Ogawa – The Professor has a short-term memory problem and looks to his housekeeper and her 10-year-old son to help him. The Commoner by John Burnham Schwartz – Haruko, a commoner, becomes the wife of the Crown Prince of Japan, and must learn to meet the rigid restrictions placed on royalty. Stalin’s Ghost by Martin Cruz Smith – Although this is the 6th in the Arkady Renko series, it’s one of the best – Russian police detective Renko is investigating reports of the “appearance” of Stalin in the Moscow Metro, which leads him to the more contemporary “ghosts” of Chechnya. Summer Reading continues, so don’t forget to write a review for a cool prize. Remember, reviews can be done by hand, or enter your review on our Summer Reading Page or on Goodreads! 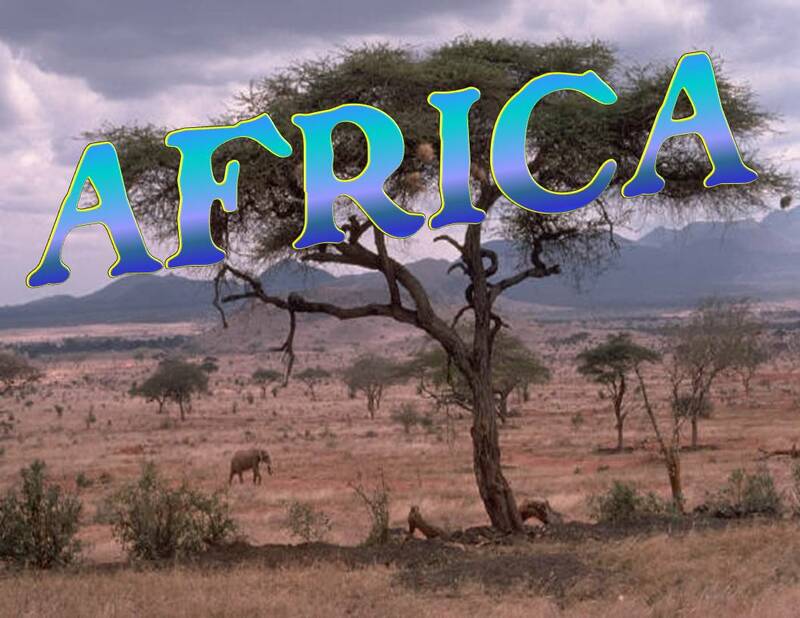 Continuing on our Novel Destinations tour, we’ll visit the “greenest continent”, Africa. 1. Again, we’ve developed an Armchair Travel booklist for Africa (it’s probably rather a hot time to visit just now). The Power of One by Bryce Courtenay – The story of a white African boy who learns about the human spirit and survival from a variety of teachers in South Africa during WWII. The Heart of Darkness by Joseph Conrad – A journey into the Congolese jungle introduces a young idealistic man to the inner savagery of all humankind. The Boy Who Harnessed the Wind: Creating Currents of Electricity and Hope by William Kamkwamba – The inspiring true story of a young man who builds a windmill, using old library books, to help his village. Long Walk to Freedom: The Autobiography of Nelson Mandela by Nelson Mandela – A look at one of the most intriguing men alive today (and a hero of mine!). The Famished Road by Ben Okri – Azaro straddles the living and spiritual worlds, and struggles to deal with the poverty, hunger, and love he feels for his family and village. Wife of the Gods by Kwei Quartey – Ghana police detective Darko Dawson investigates the murder of a young woman whose demise recalls some of the traditional area mythology. The No. 1 Ladies Detective Agency by Alexander McCall Smith – Precious Ramotswe investigates crimes in her native Botswana. Since this year’s Adult Summer Reading theme is NOVEL DESTINATIONS, we thought we’d take a closer look at books set on each of the continents (and we separated the U.S. from the pack , so it will get it’s own look). Our first stop features books with a unique sense of Europe. 1. 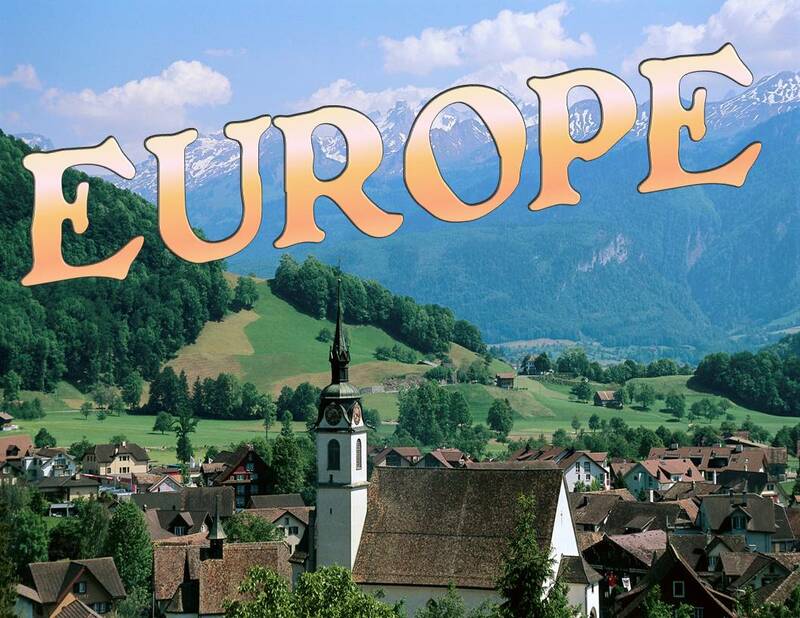 If you like the idea of travel, but not the hassle, check out the Europe Armchair Traveler Booklist designed by your TFPL Reference Librarians. The Black Tower by Louis Bayard – In 1818, Hector gets pulled into a murder inquiry by the charismatic director of France’s new national police force, the legendary Vidocq. Niccolo Rising by Dorothy Dunnett – This is the first in the “House of Niccolo” series. Niccolo is a young man ahead of his entrepreneurial time, which just happens to be the Renaissance. The series ranges all over Europe. The Welsh Girl by Peter Ho Davies – A POW camp creates tension in Esther’s village in Wales, bringing old issues, as well as loyalties, to the surface. The Little Book by Selden Edwards – An aging rocker finds himself transported back in time to 1897 Vienna. Pompeii by Robert Harris – Marcus, a Roman engineer, is called on to inspect an aqueduct in the Bay of Naples, and finds evidence something is happening with Mt. Vesuvius. The Invisible Bridge by Julie Orringer – Prior to WWII, Andras leaves his native Hungary and finds love in Paris, but historical events are going to change everything. The Flanders Panel by Arturo Perez-Reverte – A secret in an old painting leads Barcelona art restorer Julia on a chase to uncover a modern killer. If it’s June, it must be time for Adult Summer Reading! This year’s theme is NOVEL DESTINATIONS. The contest works the same as it has in past years: read a book, write a short review, and enter to win a prize! And this year, we’re adding a challenge called the Novel Destinations Passport. Read 8 books, one set on each of the seven continents (and one in the U.S.) and get an extra entry. You can enter your reviews on an official form and turn into the Library, create a review in the comments section of the Summer Reading page of the blog, or join us on Goodreads and enter your review there. The Novel Destinations Passport can only be entered on paper (makes it a little easier on us), but you can get a copy in the Library or here. Above all, have fun. Begin your summer trip around the world at the Library!